The Baltimore Ravens said goodbye to one of the quarterbacks who finished the 2018 season as a backup, trading Joe Flacco to the Denver Broncos, but are keeping the other. 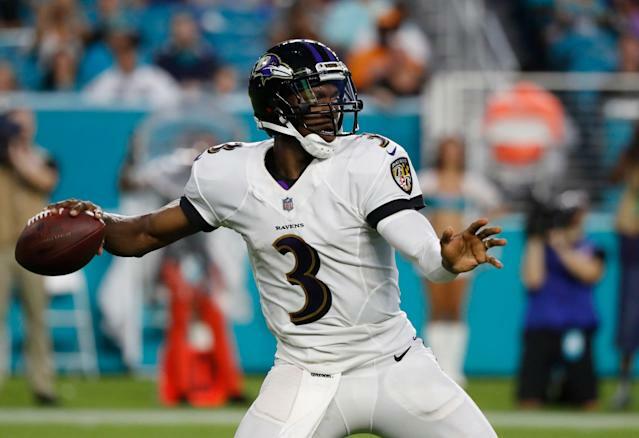 The Ravens announced on Twitter on Thursday afternoon that they’ve re-signed Robert Griffin III to a two-year contract. Griffin, now 29-years-old, joined Baltimore last year after a year out of the league. He only attempted six passes, serving as Lamar Jackson’s backup after he became the starter in November. The No. 2 pick in the 20212 draft, Griffin also served as a mentor to Jackson, who was a rookie last year. After taking the Ravens from a 4-5 record to a 10-6 mark and wildcard berth, Baltimore decided to keep Jackson and move on from Flacco, who’d been the team’s starter for over a decade.